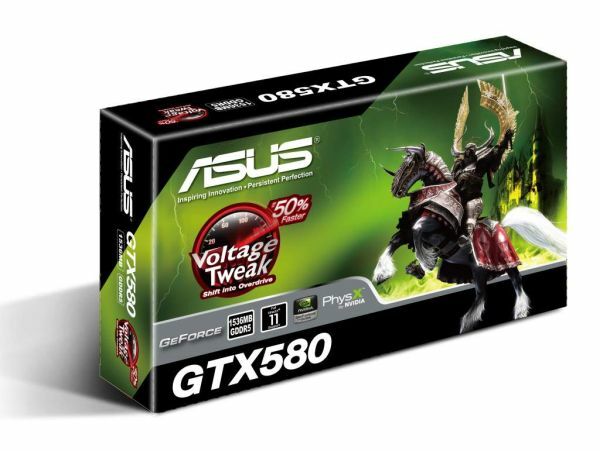 Picking up immediately from where we left off yesterday with our review of NVIDIA’s new GeForce GTX 580, we have a second GTX 580 in house courtesy of Asus, who sent over their ENGTX580. With our second GTX 580 in hand we’re taking a look at GTX 580 SLI performance and more; we’ll also be taking a look at voltage/power consumption relationship on the GTX 580, and clock-normalized benchmarking to see just how much of GTX 580’s improved performance is due to architecture and additional SMs, and how much is due to the clockspeed advantage. As you may recall from our launch article yesterday, NVIDIA would only make a second GTX 580 available to us for SLI testing if we also accepted and reviewed a high-end gaming system, an offer which we declined. 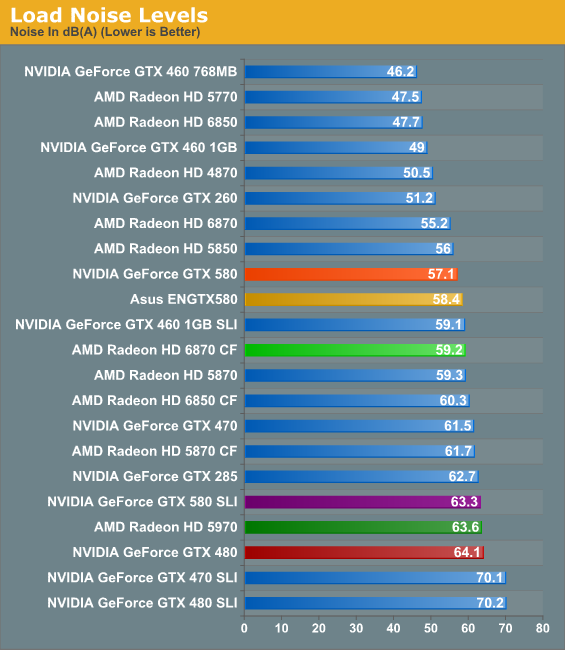 As a result we were unable to look at GTX 580 SLI performance right away. However Asus quickly came to our aid and sent us one of their first GTX 580s, giving us a second card to work with both for SLI testing and as a second data point. Since yesterday afternoon we’ve been busy at work seeing what a pair of NVIDIA’s latest and greatest are capable of doing. 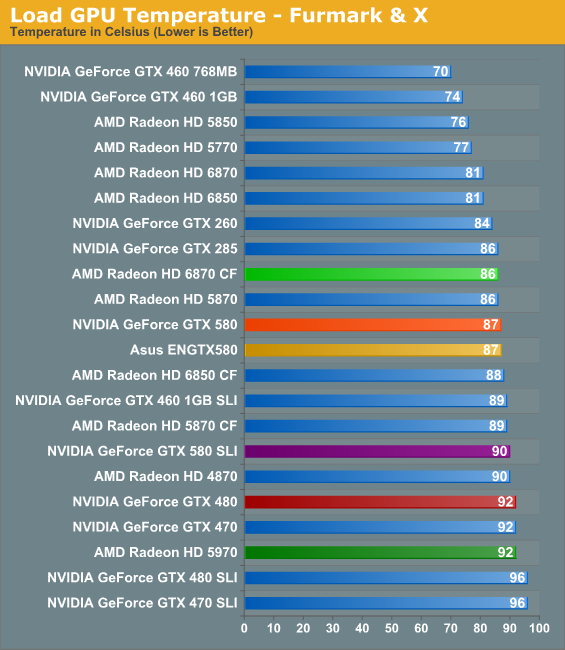 Prior to the actual launch of the GTX 580, we were concerned about what the availability would be like. With NVIDIA engaging in such a quick development cycle for GF110 and being unwilling to discuss launch quantities, we didn’t think they could do it. 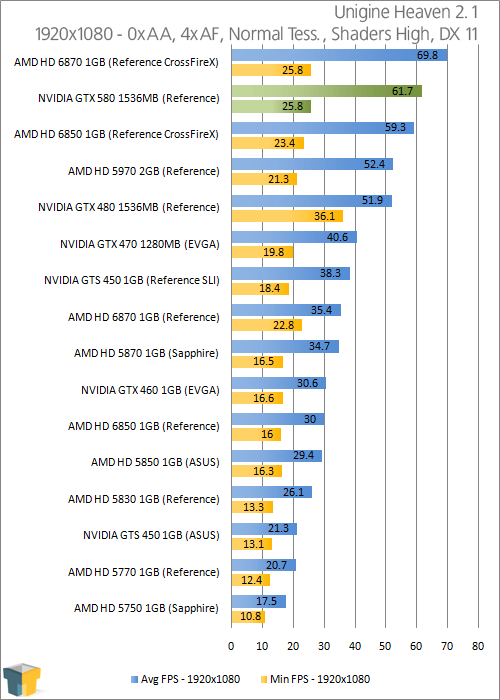 We’re glad to report that we were wrong, and the GTX 580 has been in steady supply since the launch yesterday morning. Kudos to NVIDIA for proving us wrong here and hitting a hard launch – it’s the kind of action that helps to make up for the drawn out launch of the GTX 480 and GTX 470. Actually getting a GTX 580 is turning out to be a curious affair however. When we first saw Newegg post their GTX 580s for sale our jaw dropped as they were all $50-$80 over NVIDIA’s MSRP; the GTX 580 is already an expensive card and selling it over MSRP isn’t doing NVIDIA any favors. However after checking out MWave, Tiger Direct, the EVGA Store, and others, we saw at least 1 card at MSRP at each store. Were NVIDIA and their partners price gouging, or was it something else? The truth is often in the middle. At this point Newegg is the 800lb gorilla of computer parts; they have the largest volume and as far as we can figure they get the bulk of the launch cards allocated to the United States. So what they’re doing is usually a good barometer of what pricing and availability is going to be like – except for this week. As it turns out Newegg is running a 10% sale on all video cards via a well-known promo code; and as best as we can tell rather than not including the GTX 580 in their sale, they simply hiked up the price on all of their GTX 580 cards so that prices were at or around MSRP after the promo code was applied. The end result being that the cards look like they’re going well over MSRP when they’re not. Judging from pricing at Newegg and elsewhere it looks like there is some slight gouging going on (we can only turn up a couple of cards that are actually at $499 instead of $509/$519), but ultimately GTX 580 prices aren’t astronomical like they appeared at first glance. After this stunt, this will probably go on the record as being one of the weirder launches. 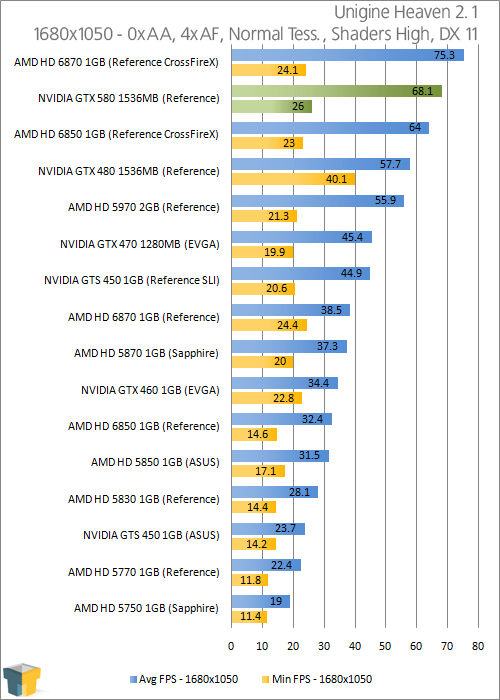 With a second GTX 580 in hand we have a second data point to look at with respect to the GTX 580’s physical attributes. As we’ve noted time and time again, with the GeForce 400 (and now, 500) series, NVIDIA has moved to having a range of VIDs for each product instead of only a single VID for every card. The result is that much like CPUs the power consumption and resulting cooling/noise properties of a product can vary from card to card. Our reference GTX 580 shipped with a load voltage of 1.037v, notably higher than the sub-1v load voltages of the GTX 480 and a solid example of how NVIDIA has been able to reduce leakage on their GPUs. By luck our Asus GTX 580 comes with a different voltage, 1.000v, giving us some idea of what the VID range is going to be for the GTX 580 and what a card with a “good” GPU might be like. Not surprisingly, with a lower load voltage our Asus card consumes less power in all of our tests. We’ll just jump right in to the charts here and dissect things. Under Cyrsis system power consumption is 20W lower, putting this GTX 580 under the Radeon HD 5970 instead of over, but also within 10W of the 6850CF, the GTX 470 (with its fused off SMs), and even the GTX 285. Going by power consumption this card is only slightly worse than the GTX 285, a far cry from the GTX 480 and the 421W system power consumption we see. The situation is much the same with Program X, where power consumption has dropped 26W to 426W. Here it’s a not quite as close to the GTX 470, but it’s still only a dozen watts or less off of the GTX 285 and 6850CF. However it turns out the effect on temperature & noise isn’t as great as we’d assume. These two aspects are of course dependent on each other, as temperatures drive fan speeds and vice versa. 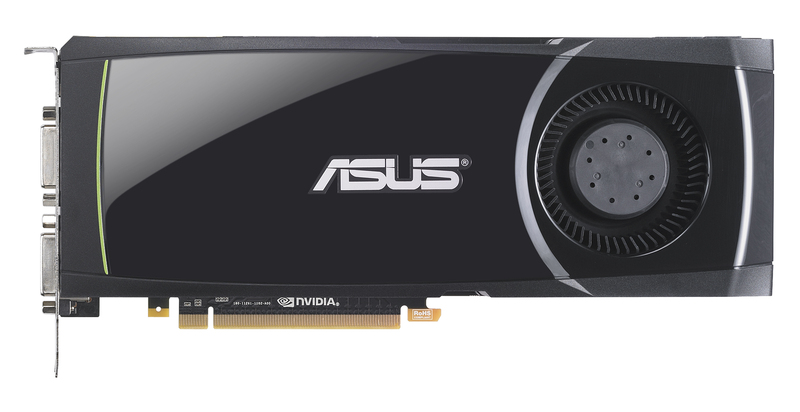 For whatever reason our Asus GTX 580 gets slightly warmer and slightly louder than our reference GTX 580, even though we’ve already determined that power consumption – and hence heat dissipation – are lower. Some of this may come down to BIOS programming by Asus, but at the moment we don’t really have a great explanation for why power consumption can drop but heat/temperatures can slightly rise. At the moment we’re entertaining the idea that the difference may be in assembly, and that the reference GTX 580 has a different thermal paste application than the Asus card. In any case from these two data points we can clearly determine that power consumption can differ from our reference card, however whether temperatures and noise can differ are still in question. 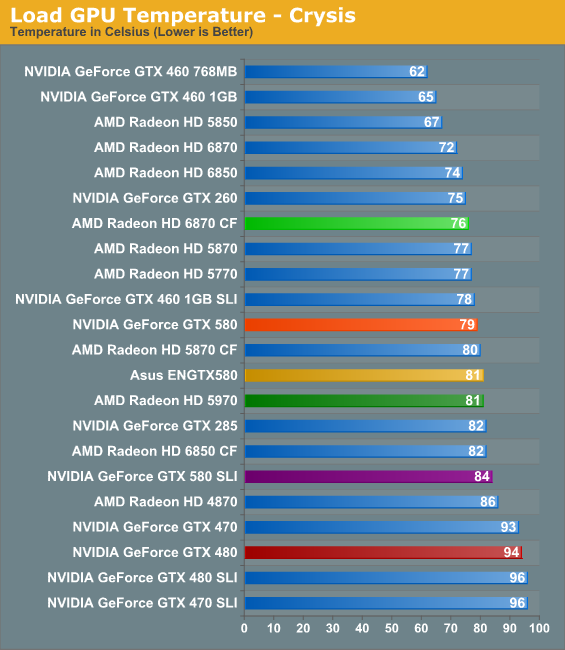 Ultimately we’d like to find out the full VID range of the GTX 580, if only to get an idea of how our cards compare to the complete spectrum of possibilities. Ryan, what did I tell you about feeding the BCIPC trolls? It's nothing in particular. When I put an article stub in the system it gives the article the time the stub was created, which means when I publish it the system calls it several hours old when it's not. So I rewrite the article's time to match up with the current time or something close to it. Yea, it f***ing finally can ! Well you posted this in the original GTX580 review as well. Thought I'd reply once again here. 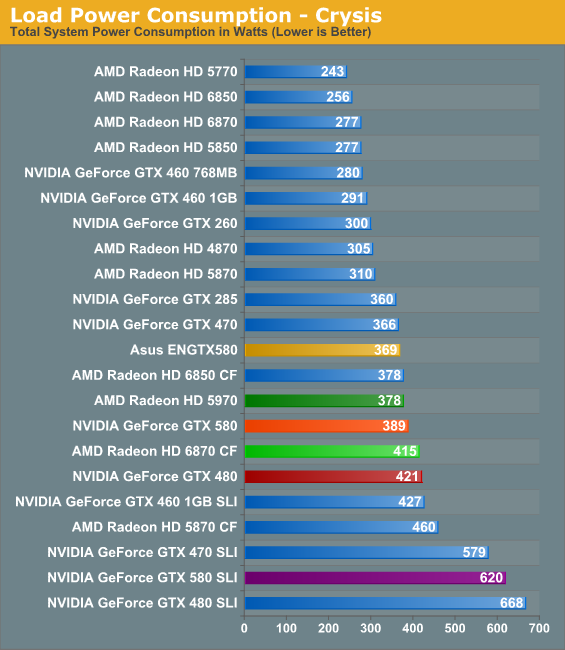 If you notice, one of the minimum frame rate results posted on this site shows the 480 beating the 580. So much for anomalies. "If you notice, one of the minimum frame rate results posted on this site shows the 480 beating the 580. So much for anomalies." Well that's yet another reason I think the 480's minimum framerate at 1680x1050 is a bit suspect. 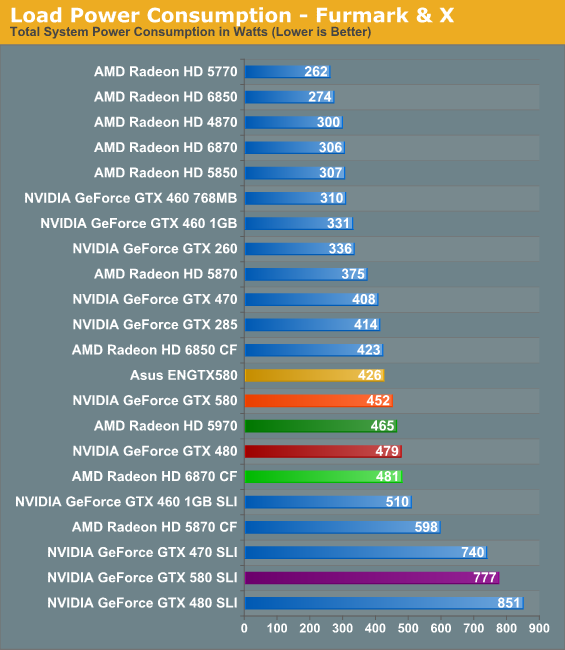 The GTX480 can't possibly be faster than the GTX470 AND the GTX580 by such a large amount, right?